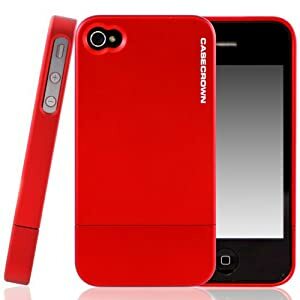 *HOT DEAL* Lux Glider Case for Apple iPhone 4 and 4S Almost 70% OFF! I love the color of this case!!! Check out this great deal on a Lux Glider Case for iPhone 4 and 4S for only $6.21! It’s marked down almost 70% — bet that doesn’t last long! I can’t wait to get MINE! The inside of this case is lined with felt to keep your iPhone snug and secure to protect it from scratches. It does come in other colors… but I’m LOVING the Red Garnet!! The price listed above was as of 11:30am CST on May 4th, 2012. Prices and availability subject to change. Make sure you confirm the purchase price prior to purchase. Penny Pinchin’ Mom is surely my kind of site. As a single parent, I know what it means to pinch those pennies. It can be done!